#MerMay Animation Showdown with the Bancroft Bros.
Join Tom Bancroft and Tony Bancroft, twin podcasters and former Disney Feature Animation supervising animators, as they talk about their careers at Disney Animation on films like “Beauty and the Beast”, “Aladdin”, “The Lion King”, and “Mulan” while creating/ preforming a “dueling traditional animation” scene- LIVE! 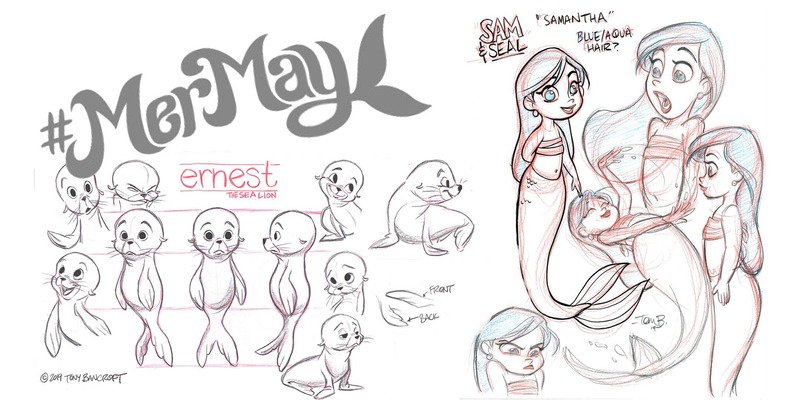 They will focus on a “tradigital” animation pipeline with Wacom Cintiqs and TV Paint animation software to create a 2D animation scene of two of their original characters, Emma the mermaid and Earnest the sea lion from their upcoming animated short film to correspond with the #MerMay event on Instagram. Twins teasing (each other), Traditional animation and Teaching, all in one event!